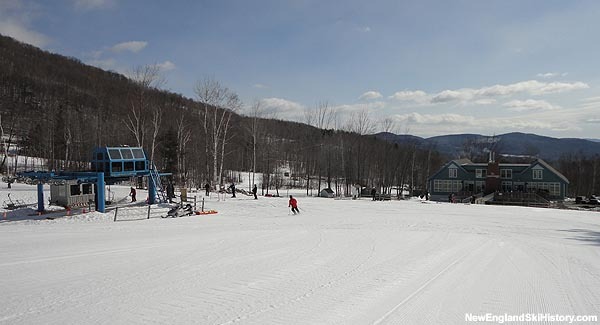 While the Rumford area is perhaps better known for its nordic and ski jumping history, it has also been home to Black Mountain of Maine ski area for over half a century. The mid sized ski area features a variety of terrain served by two chairlifts and is known for its inexpensive ticket prices. The 10th Mountain Division veteran and two time Olympian was integral in the development and survival of Black Mountain of Maine. The average weekend non-holiday adult ticket price is now $54. New terrain could eventually increase the area's lift served vertical drop.